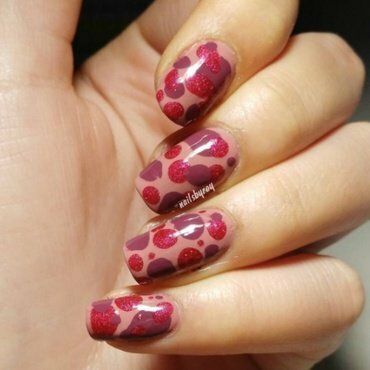 Put together a polka dots design and a gradient and you'll have the best polka dots mani ever! 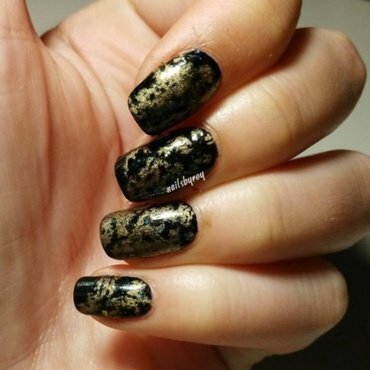 1) Apply your favourite base coat. 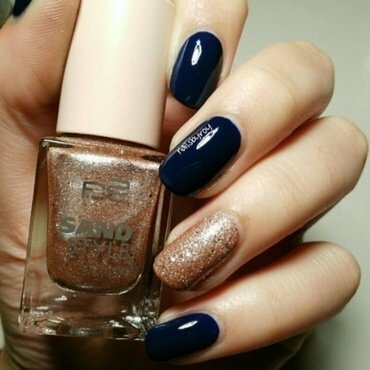 2) Apply a blue nail polish on your thumb, pointer and pinkie nails; apply a white polish on your middle and ring nails. 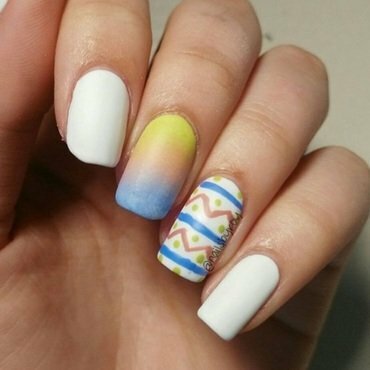 3) Once it's dry, grab a make-up sponge and paint on a gradient using white, light blue and blue. 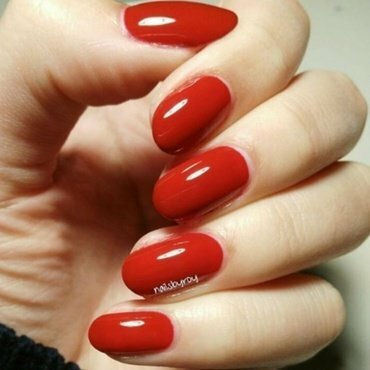 4) Sponge the gradient on your central nails. 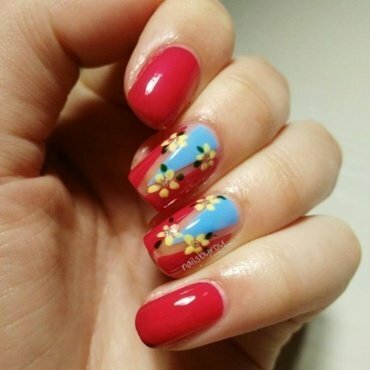 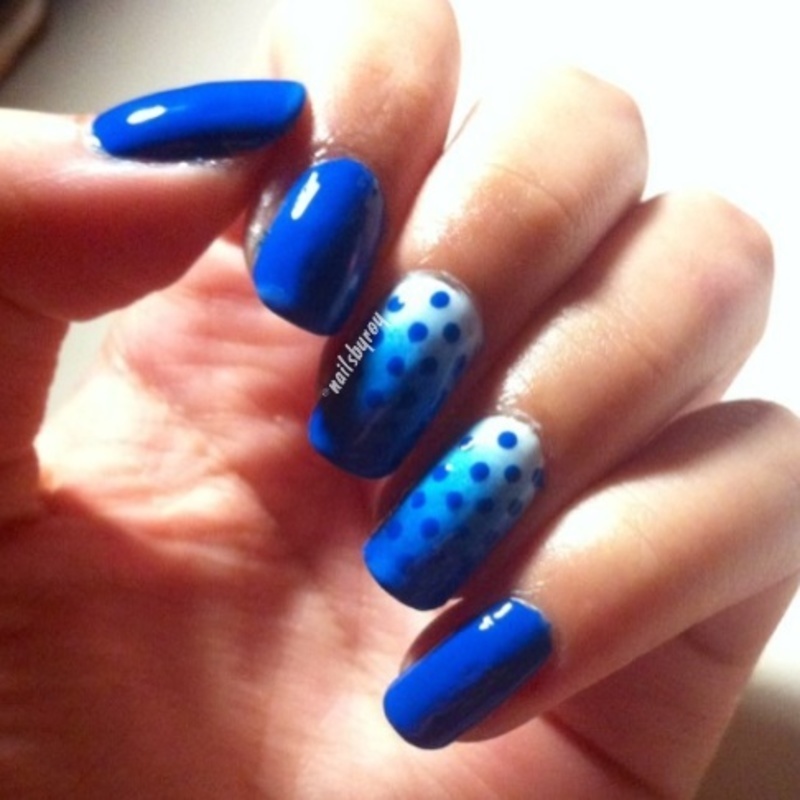 5) Once it's dry, using a dotting tool create a polka dots design over the gradient, with the same blue color you used on the other nails. 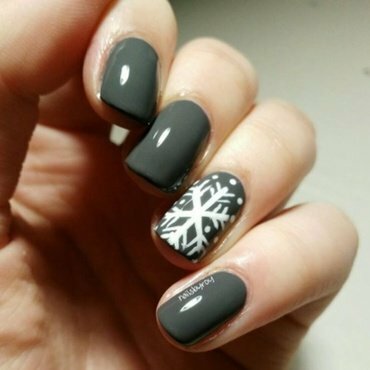 6) Finish it all off with a top coat.